Amazon recently announced its pilot season and launched several pilots to the review. I am skeptical about such concepts, so when “After” pilot started I wasn’t expecting much. Especially since “Star-crossed” on the CW network disappointed and I sincerely doubted that network screenwriters can make a good, new SF series anymore. Series of disappointments in the past few years (“Terra nova”, “Revolution”, “Under the dome”, Falling skies”) made me think that. “After” is, in that light refreshment. That’s the way a good SF pilots should be written. Something left to the viewer to wonder about, to question the motivations, the characters, the storyline. Not like some other pilots, where everything is served in the first episode and you can guess with 90% probability what will happen until the end of the show. Something happened in “After” and our main characters are stranded in the parking lot. Here we can see a lot of cliché in some of the characters (Latino police woman, innocent black criminal, rich old woman, drunken Irish and so on…) but the clichés are not the only thing that happens in their communication. Whatever happened to the everyday world in the “After” left chaos on the streets, police losing control and protagonists which will, as in all such shows, learn to cooperate and struggle to survive. Atmosphere in the pilot is similar to the first (and so far the best) season of the “Walking dead”. Some storytelling tools are highly illogical, since we’re lead to believe that all our characters are bunch of people which happened to be on the same spot in the same time when “something” (we don’t know yet what) occurred. Further in the story we learn that they’re all born on the same date which, when you think about it, doesn’t make sense. There are more positive sides of the pilot, however, that the negative ones. You are left to “write” the gaps in the story by yourself which is big refreshment in comparison to some CW and SyFy productions. Some of them would really help themselves (and us in the process) if they would sit on a working coffee with creator of the “After” because “After” communicates with the audience, makes it guess, makes it participate and, as great Alfred Hitchcock once said, that’s the point of a good story. But hey, the person which created this also created the “X-files”. Maybe I shouldn’t be so surprised after all. 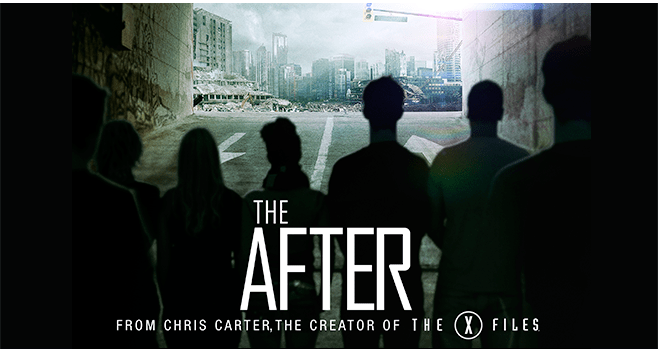 I don’t know if “After” will continue since pilot season on “Amazon” is still in progress (that’s the reason I don’t like such concepts) but I hope that we’ll find out what the creators have in store for us and where this story can lead us to. In the meantime we can just try to guess. As would one of the characters say, quoting Caesar: “Alea iacta est/The die has been cast”.